I've always heard amazing things about Nova Scotia. It's so close to New York, yet seemed inaccessible for a quick getaway. Flights are pretty expensive (considering it's just a two hour flight) but driving also seems too long--more than 12 hours one way. After years of curiousity (and running out of places to go for a quick trip from NYC) I decided this was the year I was gonna go. So I bit the bullet and bought roundtrip airfare from Delta ($450--ugh! Could fly for less to other places farther away!) to visit June 29-July 5. So yes, that means I'm live blogging! For my other trips I've been writing about them when I get home. Since I have some downtime right now though figured I'd give it a try and write as I go. So far, so good. Nova Scotia is really beautiful, and certainly a lot bigger than I expected! Flew into Halifax and got in at 3 pm. 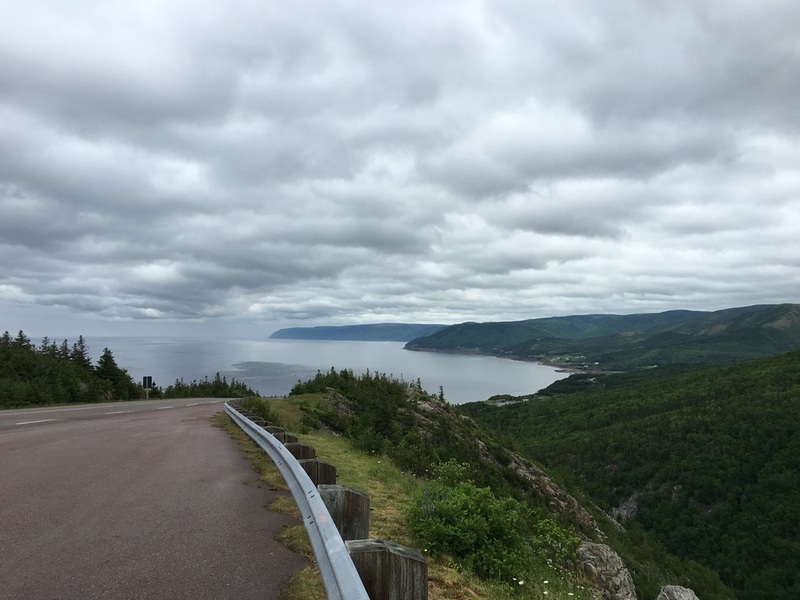 Immediately picked up the car rental and headed straight for Cape Breton Island, which is known for the Cabot Trail and coastal drive. The drive is really easy (though long--about 4.5 hours from the airport) and not as harrowing as people make it out to be. Well, if you've driven in NYC or the curvy roads of Hawaii, you can survive this. Another thing about planning this trip: if you're an avid hiker and want to see a lot, definitely plan to be here more than two full days. 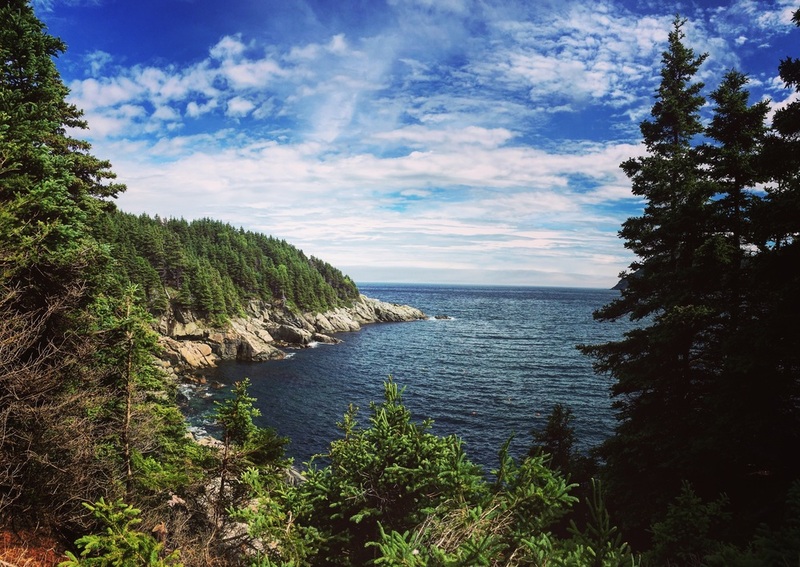 There are a ton of hikes to do! If you're like me and like to hike but don't want anything too crazy, then two full days is enough. I also think it's better to plan two days in case it rains one of these days (which is what happened to me). 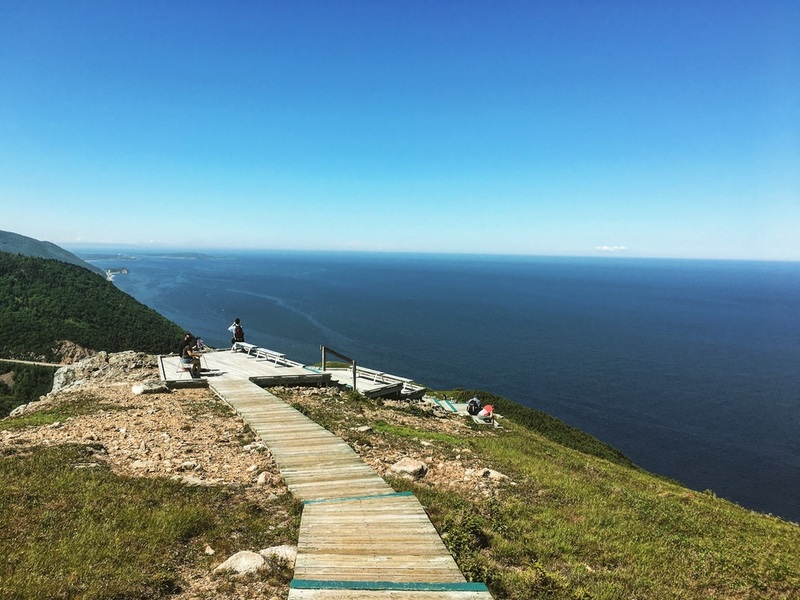 Though the weather reports for Cape Breton Island are incredibly unreliable (it rained off and on and the sun came blazing out at 3 pm yesterday although the weather apps did not predict that), the drives from place to place can be long. In the two days I was here, I only had time for two hikes and I would highly recommend them: the Middle Head Trail hike and the Skyline trail hike. Both were long (about two miles one way, so four miles roundtrip) and very scenic but not too arduous. Anyway it rained the first day I was here and it was bright and sunny the second--the perfect day to do the Skyline trail. Will continue my trip recap in the next few days!